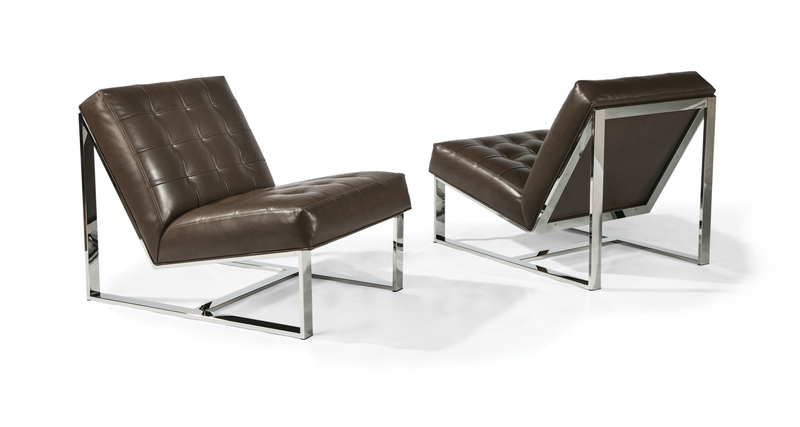 Born to be wild in 1969, Milo Baughman's EZ Rider armless lounge chair is a timeless modern classic. Whatever comes your way during the day, EZ Rider will help take you away with its low-slung comfort and adventurous style. Featuring button-less tufting, foam/fiber tight seats and either stainless steel, brushed bronze or satin brass metal work, EZ Rider will secure your adventurous escape within your own home - no gasoline or helmets required. Choose from any of our in-house curated fabrics or leather for upholstery or provide COM. Base and legs: brushed bronze finish.